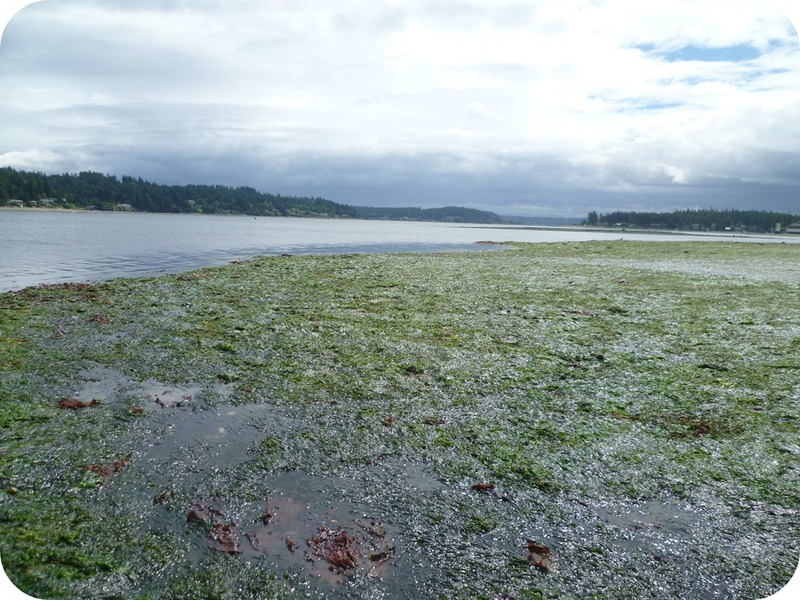 Yesterday was the lowest tide of the year in our area. The boys and I went on a tide walk hosted by an organization dedicated to educating the public about marine wildlife and preservation of our beaches. The gentleman who heading up the tour was an older man, a retired university professor and a specialist in marine biology. He was energetic and genuinely excited to be there to share his knowledge with adults and children alike. He reminded me of my dad. We got there an hour early as we had been informed that parking at that narrow stretch of beach was tricky and filled up fast during one of Ernie’s talks. We parked easily, accidently meeting up with Ernie and his small group of helpers as they were collecting specimens in large white buckets. 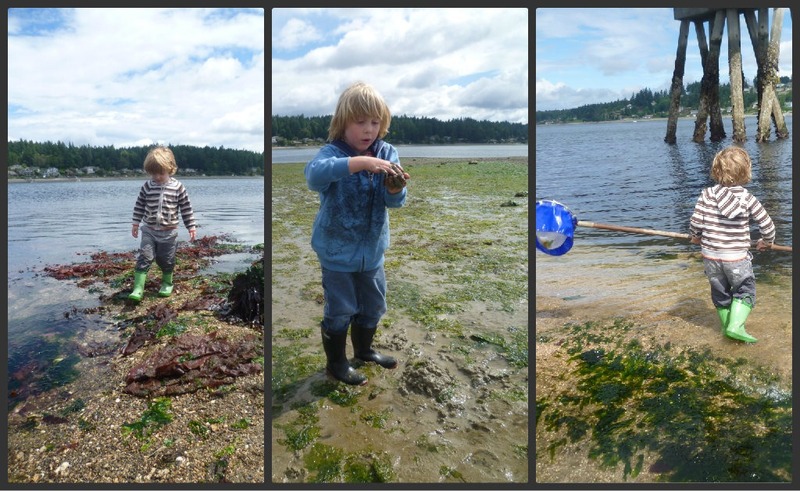 We joined in the search: sand dollars both alive and dead, crabs of many varieties, small fish, clams, jingle coins, chitons, sun stars, whatever sparked an interest in the gatherers. There was a spark in his eyes as he talked and I felt my own eyes sting as I fought back the tears from memories of my dad giving similar talks on similar beaches. 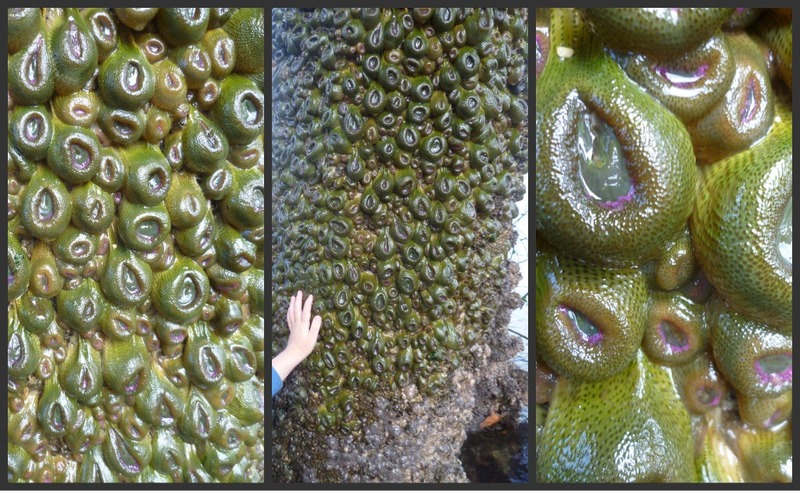 We saw some amazing sea critters, a non-scientific term my dad was fond of using. We met some great people and we had a wonderful time. It was strangely hard for me to say good-bye to Ernie as we thanked him and prepared to head home. The wind picked up as we walked away and Cody and Carter started calling out good-bye to the various sea life we had seen. 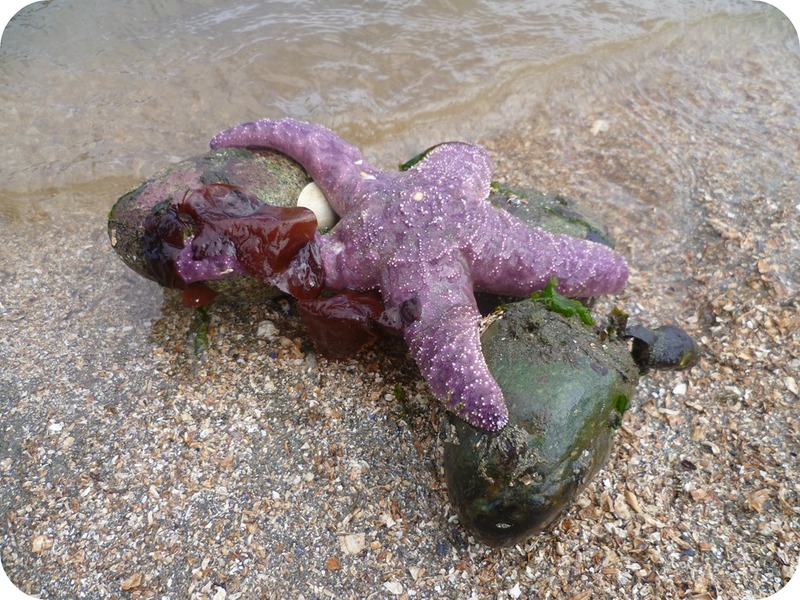 Good-bye sea stars! Good-bye crabs! 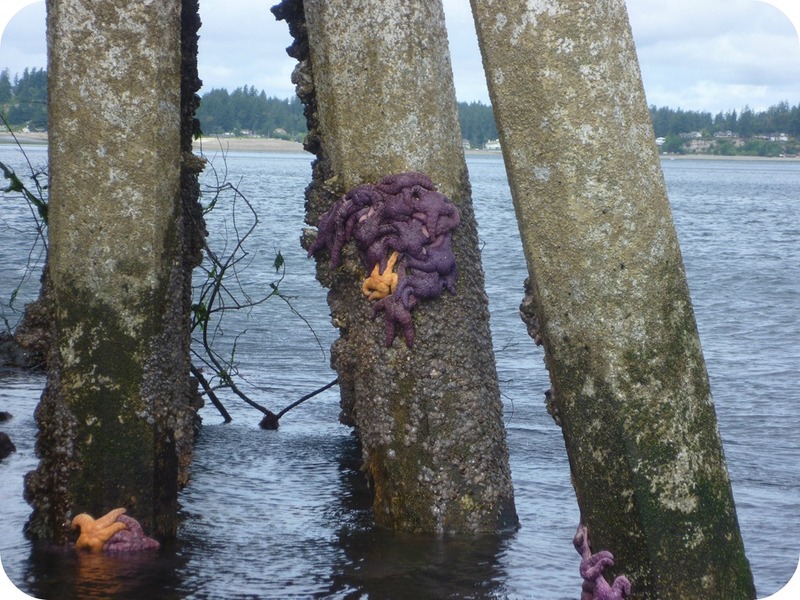 Good-bye sea anemones! Good-bye sand dollars! I dumped the Puget Sound out of the boys boots and stripped them of their wet pants. As I was buckling Cody into his car seat he told me that it was the best day of his life. When I asked him why he told me because we get to ride home in our underwear! One other thing, if you don’t mind. Last night I had a dream about my dad. It was vivid. It was the first time I had dreamed of him since his death in February. He was standing in the middle of a stream in the woods and he had a twinkle in his pale blue eyes. He was wearing his tall black boots, jeans, and a faded blue long sleeve button-up shirt with a white undershirt peeking out from the top. His John Deer cap was slightly askew on his head and he was smiling. He had found something of interest in the water and wanted to show it to me. It was the first time my memory had given me such a clear image of my dad that had not been of him on his deathbed. It was wonderful. I do not hold dreams up to be something otherworldly nor do I try to read meaning in them but I think that our tide walk helped me remember him during the good times, the healthy days before Alzheimer’s. I have been struggling with this. It feels sometimes as though the image of his frail and failing body has taken hold of my mind and has squeezed out the hundreds of thousands of good images from all the years before. It was nice to have such a solid and lovely image of my dad this morning. 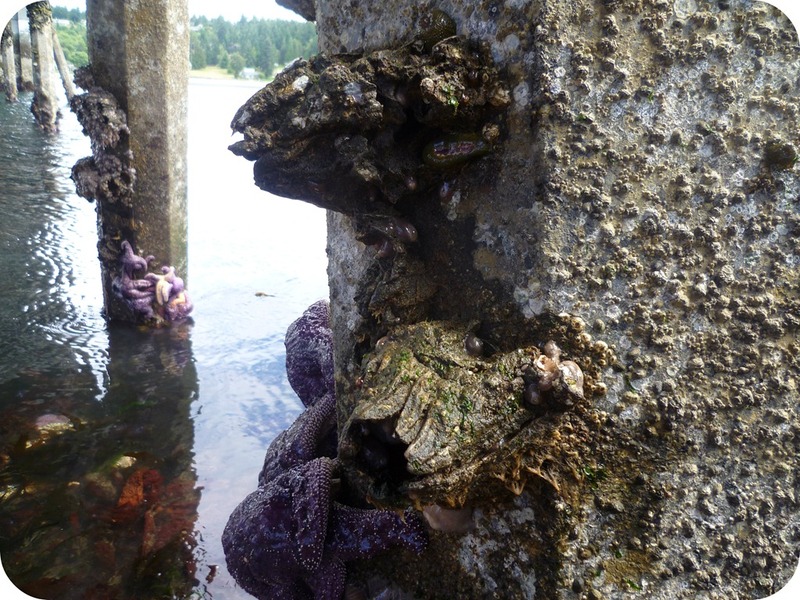 This entry was posted in The Great Outdoors and tagged Alzheimer's, Beach, Children, Family, Life, Low Tide, Nature, Photography, Puget Sound, Sand dollar, Sea anemone, Sea Stars, Wildlife. Bookmark the permalink. Beautiful…and I hope over time, the happier, more robust memories of your dad begin to balance the other. It happened with me – but it took a while.. It was a great day at the beach and the good memories of my dad were such an unexpected treat! It was a great place to go on a low tide walk. We even saw a small octopus hiding in between some large rocks! 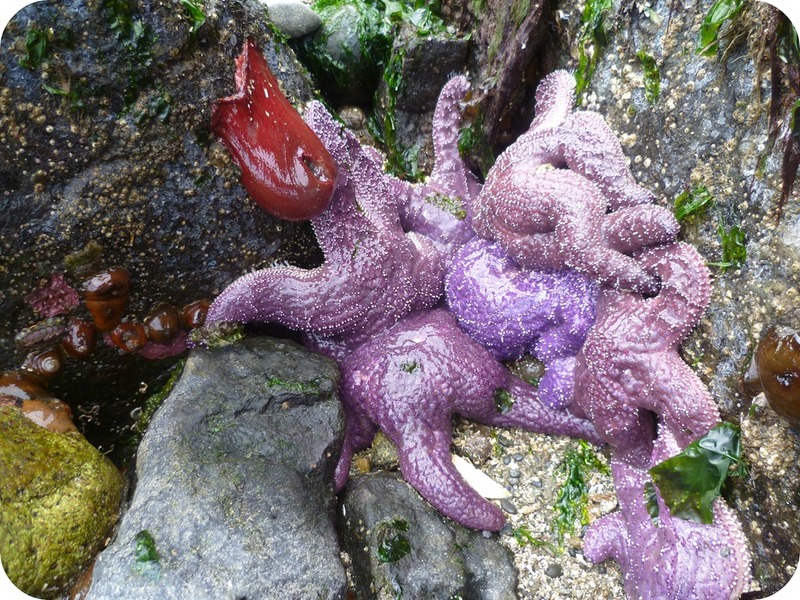 I was really taken by all the colors a low tide has to offer from the purple and orange sea stars to the dark red and green kelp. It was so much fun! 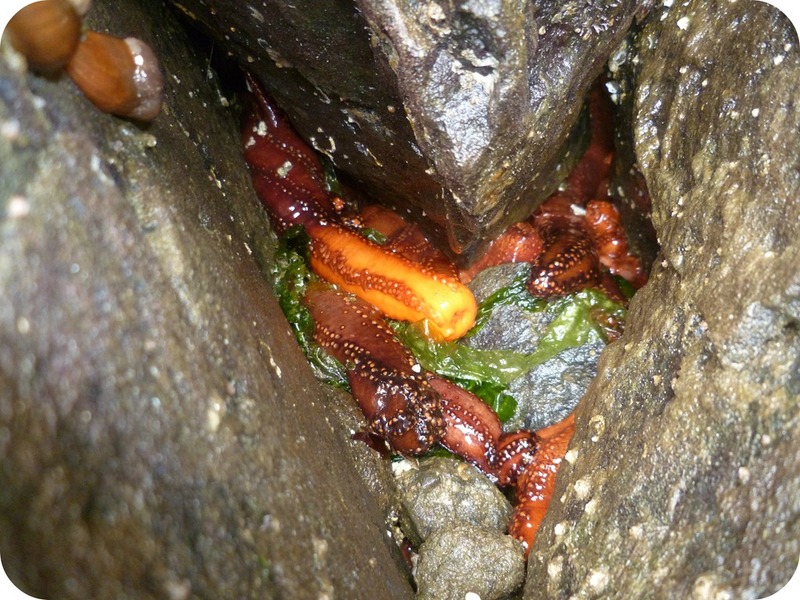 amazing sea critters – what better outing for kids? I was surprised by how much marine life there was to look at. The boys and I had so much fun. Really nice post. It’s nice that the geat event brought up such wonderful memories of your dad. I hope you can continue to enjoy memories of your dad. That sounded like so much fun for them, even the riding home in underwear. I am glad you were able to get such a beautiful image of your dad. I had to laugh when Cody said that about the trip home in his underwear. Too funny! It is nice to have a good feeling image of my dad that pops into my head instead of the images of his last days. I so needed that. Fantastic pictures! It looks like you had a wonderful day. I especially like the advice from Ernie: “Let their boots fill with water early so you don’t have to worry about it the whole time.” He is a wise man. It’s hard for us parents to do, but a very good bit of advice to let children be children. Ernie was indeed a wise man. He was totally right and once the water overflowed Cody and Carter’s boots and their pants were wet all the way up it was a relief to me. I am glad you liked the pictures. I had a great time taking them and thought they turned out well. It was hard to pick which ones to post as I ended up taking so many. It sounds like you had a lovely day. I’m glad you were able to remember you Dad from the days before he was ill. I wonder if maybe it is easier for those recollections to come to you when you are relaxed and least expecting them. After all, you never could have known that your guide would remind you of your Dad that day. I hope you’re able to conjure up many more memories of the good times with your Dad. I get the impression, from the fondness with which you speak about him, that there were a lot of good times. There were many, so many, great memories and it pains me that they do not readily leap to mind. I think I was so shocked by and lived so long with seeing my dad and that awful disease together that they became intertwined. This pure healthy vision of my dad in that dream was incredible. It was perfectly and simply my dad – no sickness, no memory loss, no hand tremors. Being at the beach, out in nature, reminds me of my dad and then to have that elder gentleman so knowledgeable about marine life, it took me by surprise. I think you are right in that I was relaxed and not expecting my daily life of taking my kids to the beach and a piece of my childhood life of being at the beach with my dad, to collide. It’s wonderful that you saw your dad so vividly. Sometimes I think that the harder we try to remember things, the more difficult it can become. Sometimes it seems like relaxing and not trying so hard is all we need to do to achieve it. I hope you have many more happy memories of your dad come to mind.